31 October 2014, Keelung, Taiwan - Lian-Li Industrial Co. Ltd, today unleashes a hellish beast onto the enthusiast PC market with the dual system PC-D666 double wide brushed aluminum chassis. 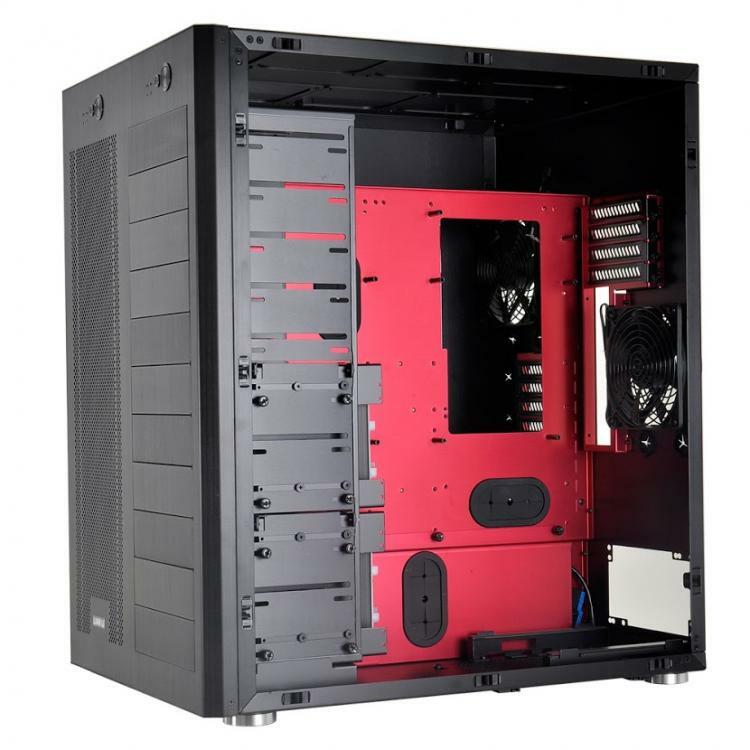 With a red and black aesthetic to match the number of the beast name, the PC-D666 supports a full EATX/ATX “workhorse” system on one side of the chassis, and a Micro-ATX/Mini-ITX “gaming” system in the other. Separating the two systems into two compartments, the PC-D666 allows DIY enthusiasts to show off high end and intricate setups through oversized windows on both sides of the chassis. The latest high-end hardware is supported in the PC-D666 as well as extensive watercooling setups. With tons of room to work with, installing elaborate water cooling setups is simplified in the PC-D666. 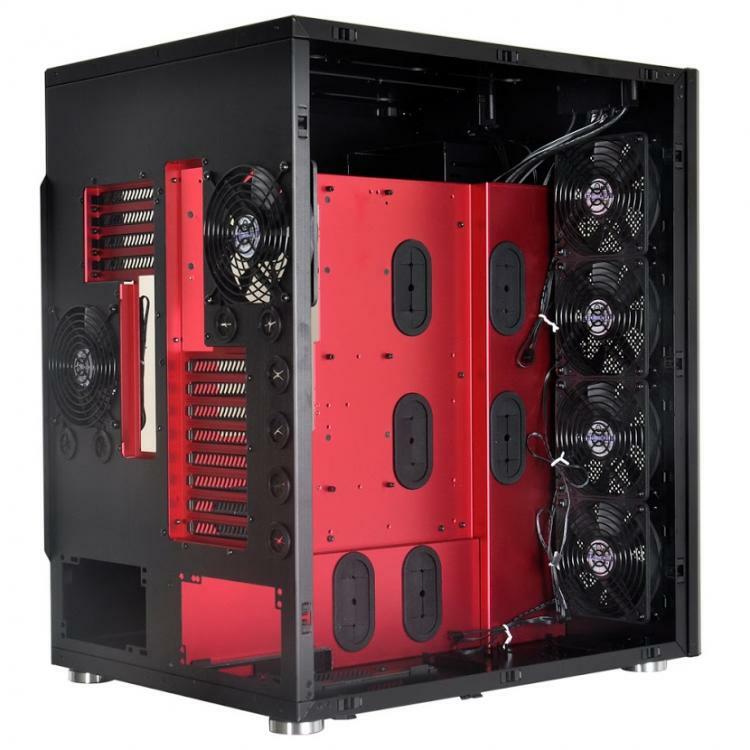 Thick 480mm and 360mm radiators can be easily installed on the “workhorse” side of the chassis, while another 360mm radiator can be installed in the “gaming” system compartment. 100mm of space above the motherboard tray allows the CPU cooler, cables, or radiator to be effortlessly moved between the compartments. The six 3.5” bays in the two removable HDD cages feature hot-swap backplanes for convenient storage installation. Four 2.5” drives can also be mounted in the two hard drive cages. In the “workhorse” compartment two more 2.5” drives can be tool-lessly mounted on the case floor. The PC-D666 has many tool-less features allowing for simple setups and installations.. 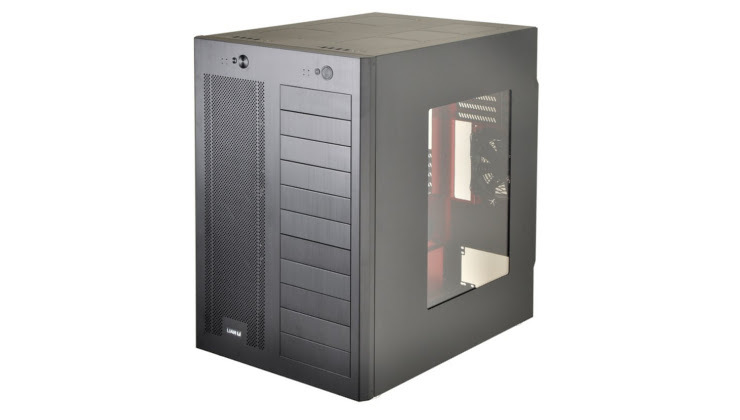 This fully aluminum case features pop-off side panels and front bezel, tool-less mounting for hard drives as well as clip-in dust filters. The entire HDD rack on the right side of the case can be pulled out of the case with the removal of a few thumbscrews. 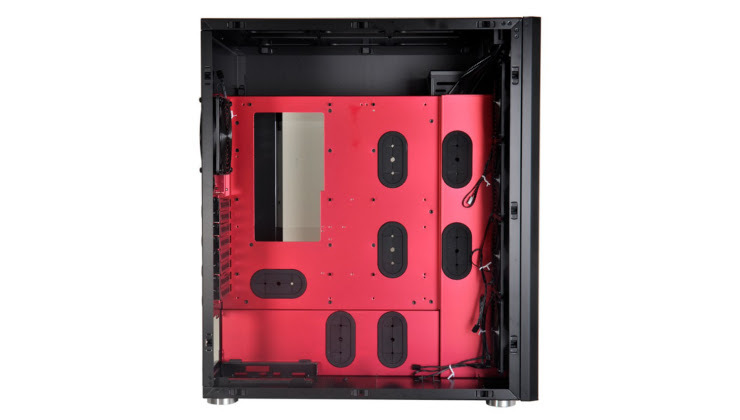 With oversized windows on both sides of the chassis, thumb-screw secured removable panels were engineered to easily hide the cables and wires, while still providing easy access to both sides of the chassis thanks to large grommeted cutouts. Both sides of the chassis have four USB 3.0 ports and HD audio connections on the top of the chassis for their respective systems. The PC- D666 was developed in cooperation with IDG's PC Welt (PC World) German edition for the “Hell Machine 6” ultimate dual-system PC project.